Simple watermelon juice recipe (with rind or without rind) uses fresh watermelon, chilled water and ice cubes as the main ingredients which is the best and perfect, natural and refreshing drink for hot summer months(this is not a watermelon juice recipe just using the rinds as we also the fresh fruit which is very much needed to make this delicious and refreshing drink). A cup of this fresh and chilled watermelon drink is sure to make you feel refreshed. Other cooling and refreshing drink recipes in this blog which are perfect for summer include fresh mango lassi (mango smoothie Indian style recipe), mango smoothie recipe using mango pulp, Indian style refreshing buttermilk recipe, strawberry lemon juice recipe etc. You can use the watermelon rinds too in this recipe, as the watermelon rinds are edible and the rinds are used in may watermelon rind juice recipes. Watermelon rinds are the outer layer of the fruit that is just under the skin and they are edible too, but many times we just throw them away in the trash as we usually scoop out the flesh of the watermelon without the rinds. 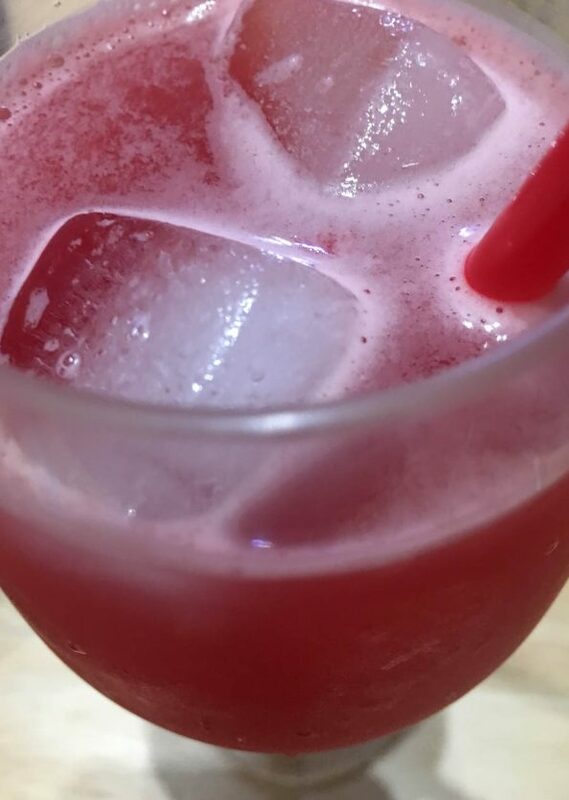 But if you like to use the watermelon rinds in this watermelon juice recipe with rind, feel free to use them as the rinds are edible and tasty. That way, you can also reduce the wastage of the watermelon rinds which is totally unnecessary. However, it is not necessary to use the watermelon rinds, as you can just scoop out the flesh and use the watermelon flesh without any rinds, if that is what you prefer. Either way, watermelon juice is just so delicious, refreshing and healthy. And this fresh and simple watermelon juice is also healthy if you just skip the optional sugar mentioned in the ingredients. 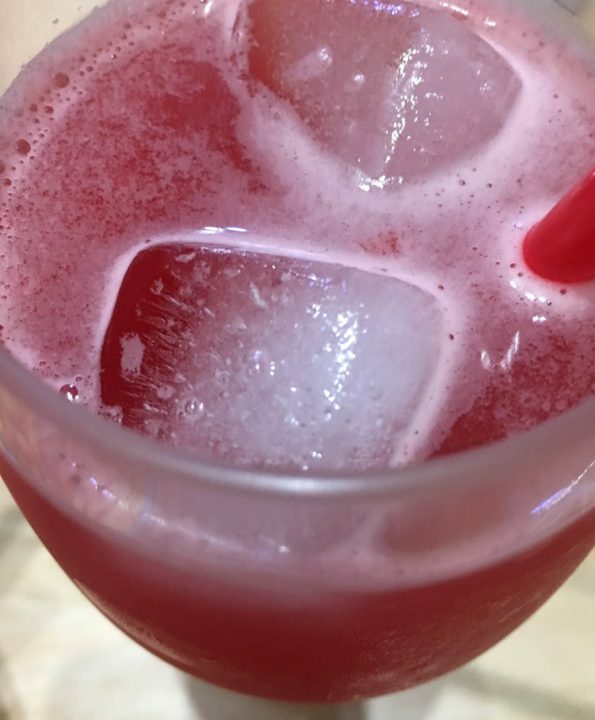 In fact, I never use any sweetener or sugar in the watermelon juice, as the fresh and cold watermelon juice without sugar is my most favorite drink for summer. 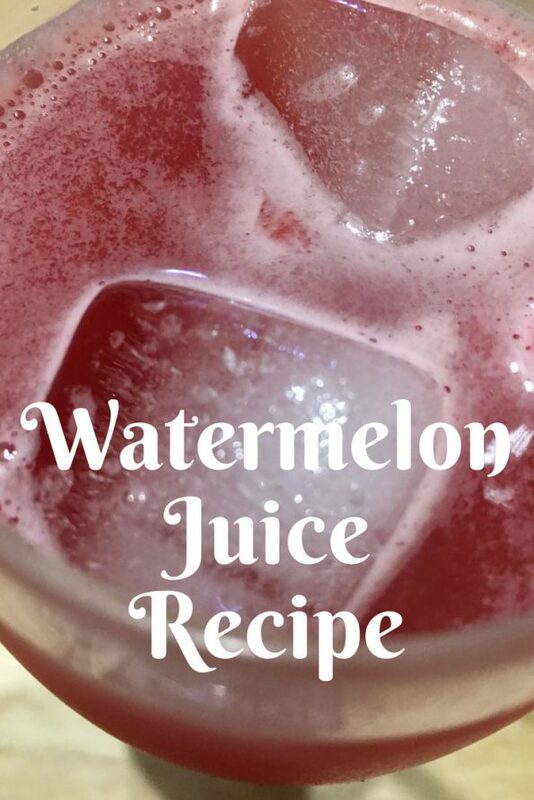 However, I included the sugar in the recipe as many people prefer to add some sweetness to the watermelon juice. The sugar is totally optional and if you like, do try the watermelon juice without adding any sugar to keep it most healthy. Many recipes for watermelon juice do not use any water, since watermelon has a lot of water content on its own. I like to add a little extra water to thin it out, as I prefer it that way and I think that is the most delicious way to enjoy the watermelon when you just want to sip it so quickly. Even if I want to sit down and enjoy the watermelon juice slowly, I usually prefer it this way. You can find many kinds of watermelon drinks which you can buy online, like this watermelon hydrating water, cold pressed watermelon juice, organic watermelon drink for kids, watermelon cocktail etc but preparing fresh watermelon juice at home is very easy if you have fresh watermelons. So here is how I make the watermelon juice following this easy and simple watermelon juice recipe with rind. 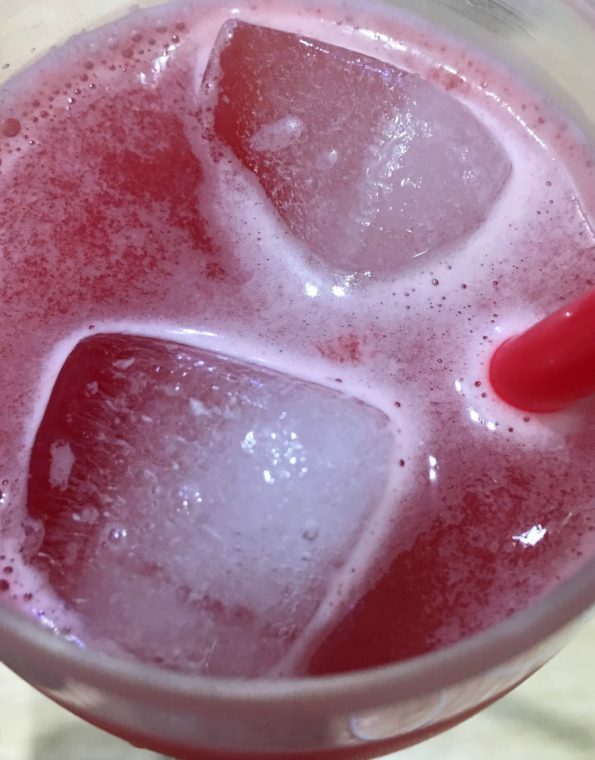 Make sure to use fresh and chilled watermelon to make the best refreshing drink, you can also use frozen watermelon cubes to make this juice which will make it more refreshing and delicious. If you keep the sliced watermelon or the prepared watermelon juice outside for a while, it won’t taste good. So make sure to use chilled watermelon slices to make the juice (or frozen for best results) and enjoy it as soon as it is made. If you are using the prepared watermelon juice for later use, like even after about half an hour, make sure to keep it chilled until the usage. I am not sure if it will keep fresh for more than a day, as usually it will lose the freshness in a day. So make sure to enjoy the watermelon juice fresh and chilled for best results. This simple, easy and refreshing watermelon juice can be made with rinds or without rinds as you wish, either way this is so cooling and refreshing drink perfect for hot summer months. Blend all the ingredients together in the blender until very smooth that you do not have to strain it through a filter. Pour the refreshing watermelon juice to serving glass, add the remaining ice cubes and garnish with mint leaves if you wish. Enjoy the refreshing and cool watermelon drink that is all natural and cool on its own. Make sure to serve this as soon as you prepare, as this watermelon juice tastes the best when prepared. If you are saving this for a few hours, make sure to keep this refrigerated and use it the same day (also stir well before serving). You may add a slice of fresh lime or two tablespoons of fresh lime juice while you blend the juice, which will make it more flavorful. 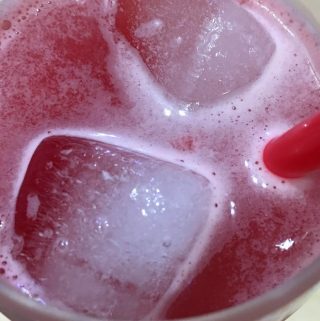 I really do not prefer to use any sweetener with the watermelon juice, as it so cooling and refreshing even without any sugar. In this watermelon juice recipe, sugar is just an optional ingredient, so you can try this juice without any sugar or sweetener if you like, which will also make it very healthy. 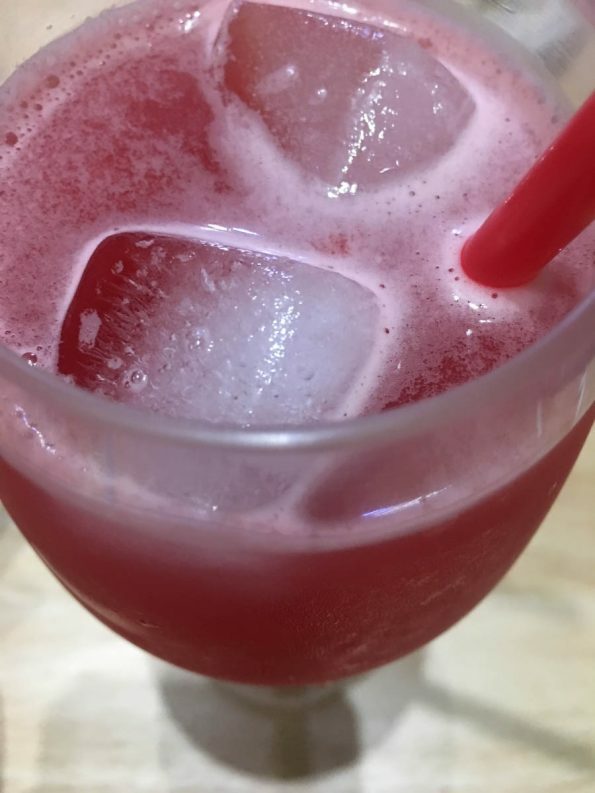 Hope you found this post on easy and simple watermelon juice recipe with rind helpful in making easy, delicious and refreshing watermelon juice at home.